" Responsible , Hardworking , Cooperative ." 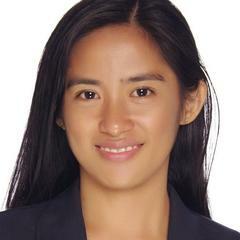 I am Jessa Fajardo and I am currently residing in Dumaguete City, Negros Oriental, Philippines. My hobbies includes reading, cooking and travelling. Cooking allows me to explore and experiment with my palate. I also believe that cooking good food isn't just about filling your stomach with food but also provides comfort. I have been to different places in the Philippines as well as in Sweden and Finland. Responsibilities include but not limited to:<br>- Provides quality customer service to guests.<br>- Provides one time resolution to guest concerns.<br>- Check in and check out guest reservation.<br>- Upsell hotel add on services.<br>- Handles cashering responsibilities for reservation payments. Responsibilities include but no not limited to :<br>- Activation, reactivation and deactivation of mobile devices and prepaid lines.<br>- Assisting on adding airtime on customer's mobile phones.<br>- Providing assistance and resolution on concerns about mobile phone's network connection for US prepaid mobile users.